Just an hour’s drive from Johannesburg and the OR Tambo International Airport is the small, but infinitely abundant, town of Parys. 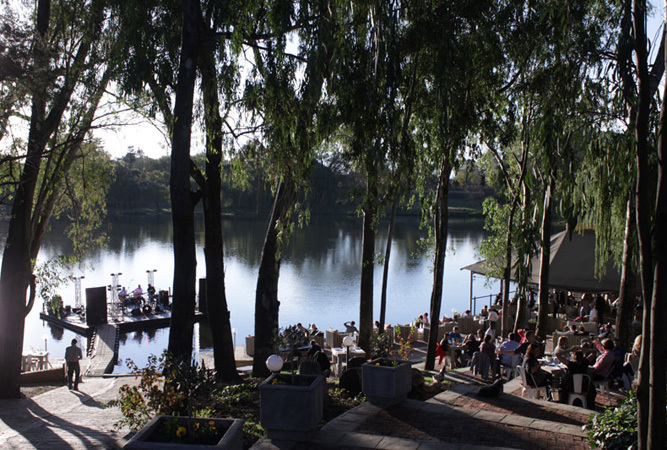 Parys is situated along the Vaal River in the Free State and combines natural diversity and beauty with historical value and a distinct sense of heritage. Being so close to Johannesburg means that Parys can be a day-trip for those staying in the City of Gold, but is also a destination in its own rights. the best way to get the most out of the main street in the town is to walk it. This busy street is lined with awesome shops, art galleries, craft stores, antique dealers and eateries. There is something for absolutely everyone to enjoy along Breë Street. the Dutch Reformed Church was built in 1899, and is just brimming with history. The Anglican Church, dating back to 1915 was constructed of blue granite rocks, giving it a unique aesthetic appeal. to learn more about the history and heritage of this unique South African town, the museum reveals fascinating insights into it. This museum is situated within the old magistrate’s office, which was built in 1904. In 1986, this was declared a Provincial Heritage Site. this area is a successful agricultural region, and has been very successful for its berry farming. The berry farm is situated just 20 kilometres from the heart of Parys and allows visitors to enjoy the South African sunshine by picking berries and enjoying their syrupy goodness between March and November. Frozen berries are available all year round. This is the site of South Africa’s only black raspberries. near Venterskroon, about 15 minutes’drivefrom Parys is the country’s largest wild olive forest. This is a beautiful experience for the entire family. beer-lovers should visit the three Parys-based breweries to sample some age-old favourites and brand new twists to this crisp refreshment. The distillery is small and exclusive, creating lip-smacking brandies and liqueurs that are sure to warm you from the inside out. It is famous for its traditionally-made mampoer, of which there are more than 50 varieties. Be sure to spend the evening close by, as mampoer is very high in alcohol. there are plenty of guesthouses, backpackers, Parys hotels, lodges and self-catering facilities available to the visitors of Parys. This gives tourists plenty of choice and ensures that there is something to suit their unique needs and budget. young ones are well accommodated in the Free State’s only pre-teen and teen holiday resort. Fun activities are sure to keep them busy for days on end while they get to enjoy time with others of their age. Activities include game drives, hiking, rafting, competitions and obstacle courses. this is the only festival held in the Vredefort Dome, which is a World Heritage Site. It is an outdoor festival that is enormous, attracting people from all over the country who want to be a part of the fun, entertainment and adventure. Every year, this event is held on the first weekend of November. because of the topography and natural positioning of Parys, it has become a popular spot for all kinds of adventure sports. These include quad-biking, mountain biking, hiking, abseiling, archery, river rafting and more. 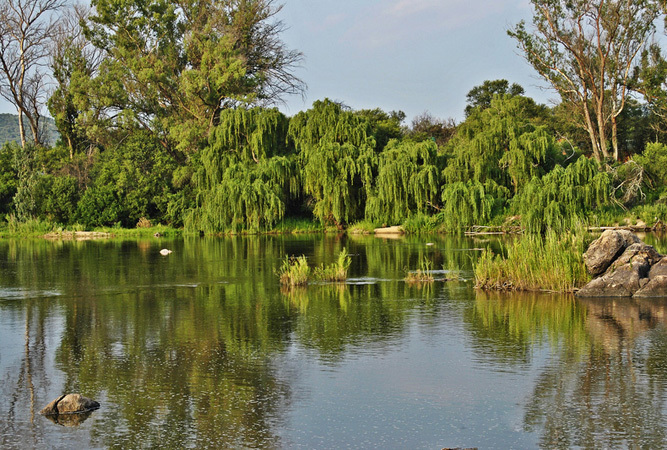 there are more than 250 different bird species to be found in and around Parys. This makes it a bird-watchers’ paradise and a unique getaway for anyone that appreciates the outdoors. experience the peace and tranquillity of a bird in flight as you soar over the Parys landscape in a hot air balloon. Perfection. see the Vredefort Dome area on a horse ride that is simultaneously exhilarating and peaceful. We love the little towns, just to see all the antiques and visit the coffee shops. Parys has it all.